Discussion in 'MacBook Pro' started by igiboi, Jul 26, 2012. Hey whats up guys, im looking for vinyls or decals for mbp. I've searched on amazon and I wasnt impressed by what I saw. Now I like family guy cartoons, simpsons and maybe some black artistic decals for the mbp. anyway, any suggestions? There's quite a few on eBay. You may want to try Google as well. Try Etsy. I think that's where I got mine from. We have 3 almost identical MBPs in our house, so I needed to make mine easy to find at a glance. thanks guys, etsy has a lot of choices. hah thanks. I stole the pic, well borrowed. That is pretty damn cook even though I'm not into anime. 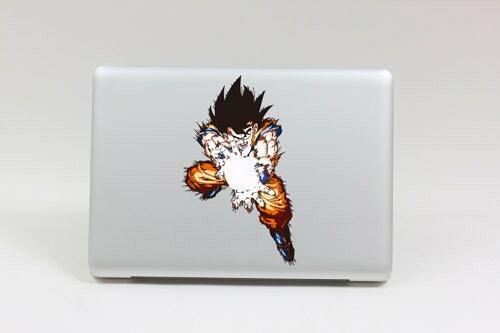 That's pretty cool, I've always been a fan of dragonball z.